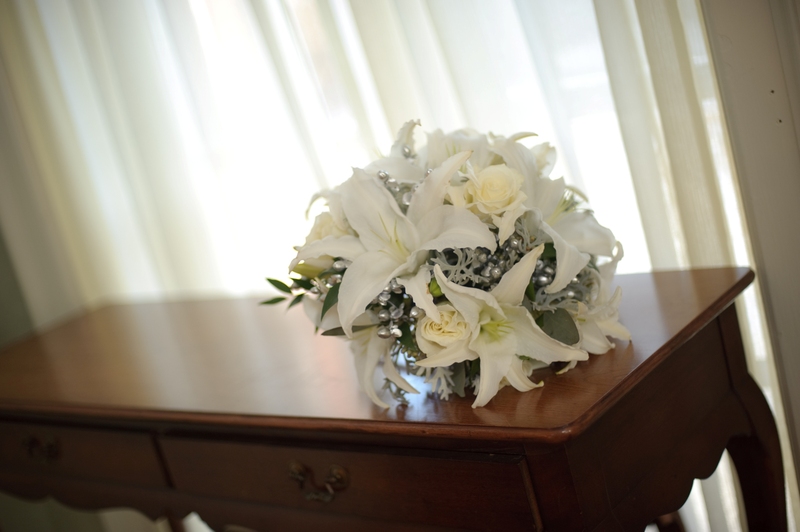 Snow white lilies and roses are accented with dusty miller and silver berries for an elegant winter white bouquet. 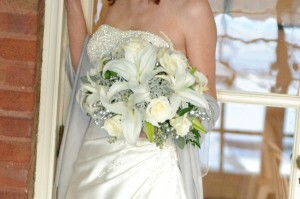 Thank you Mark Romine [www.romineweddings.com] for these beautiful images. The images you capture are truly works of art. More pictures from 7/3/10! A twist on a red, white, and blue theme for 4th of July weekend. 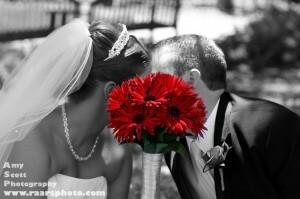 Bright red Gerbera Daisies stand out as they are carried by the bride in white. 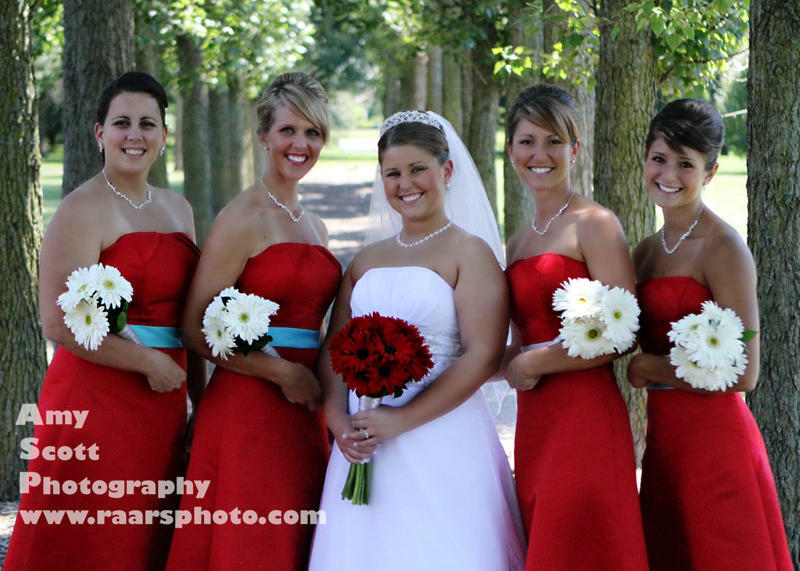 The bridesmaids were the opposite: red dresses with bright white gerberas. Thanks to Amy Scott of raarsphoto. com for sharing these beautiful photos she capturedn less than 2 weeks ago! 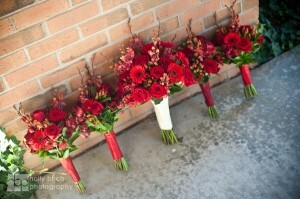 These red bridal bouquets were a favorite of the designers here at Blossom Basket Florist. 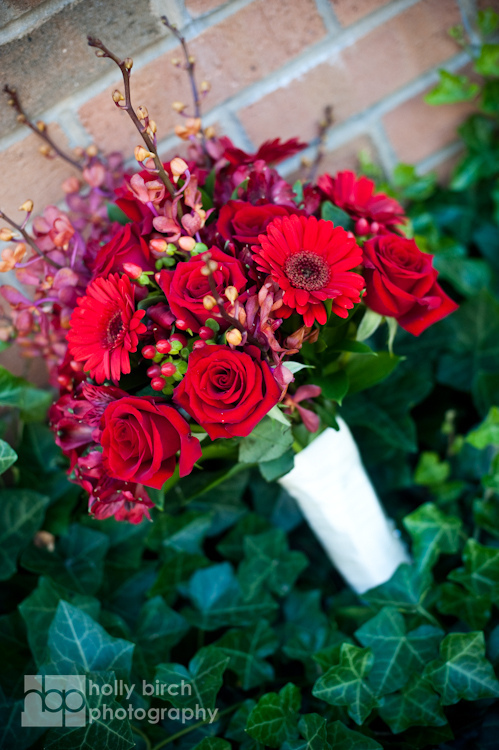 Lush with texture these monochromatic bouquets are filled with Mokara orchids, Mini Gerbera Daisies, Hypericum Berries, Roses, and Alstroemeria. Thanks to photographer Holly Birch for sharing these beautiful images with us. This wedding was less than a week ago and I’m totally impressed! Check her out at hollybirchphotography.com.